A versatile, heavy duty stage option ideal for mid-height portable staging (remove rises) applications. Bridge the portable staging decks for quick and easy setup. Your guests will perform with confidence on stages and risers supported by the Z-800HD portable stage supports. They’re ideal for mid-height, heavy-duty stage risers such as mixing platforms, or events like cabaret dinner platforms. Setup is quick and easy, because the portable staging decks bridge between the supports, meaning you have fewer stage platforms to set up. The portable staging decks automatically align and lock stage riser sections together, and each single-piece support is braced horizontally to provide a rigid, wobble-free performance stage surface. Use them in conjunction with existing portable staging decks and locator plates for a wide variety of applications. Perform on stable, wobble-free stage platforms because horizontal bracing eliminates sway and creak. Reduce labor costs with fast, tool less setup. Avoid accidents: With the portable staging deck in place, the Z-800HD stage platform leg cannot accidentally fold or collapse during use. Save storage space because the portable stage support folds down compactly. Create portable audience risers or flat performance staging with the adjustable-height models. Save setup time with fewer portable stage supports to set up (compared to a system with a support under every platform). Greatly reduce leveling time because 75% fewer elements contact the floor. 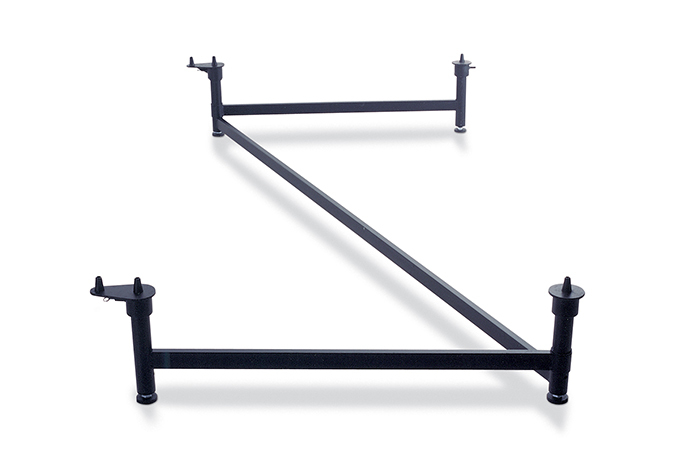 Minimize your initial investment and storage space requirements because fewer portable stage supports are required. Utilize convenient, unobstructed storage space beneath stage riser. Save setup time because portable staging decks automatically set, align and lock together without separate clamps or tools. Enjoy a quiet performance surface because snug fit eliminates the rattle common in old-style stage risers that use clamps and locks. Compensate for uneven floors with three inches of easy, fine-adjustment leveling. Save maintenance costs with tough, 5/8″ Acme-thread screws that resist damage (compared to typical “V” threads). Protect floor surfaces with sure-grip 2 1/4″ diameter urethane pads.